All Chinese communications devices are primed for a complete ban in the U.S. and if Trump gets his way, this could happen before MWC in late February. One of the reasons for this hastened ban is the alleged violation of the Iran sanctions committed by Huawei chief financial officer Meng Wanzhou. The European Union is also considering a ban on Chinese phone makers. The trade wars between the U.S. and China are far from over. In fact, more countries are now taking measures against certain Chinese companies. The increased export taxes are now in full effect and it looks like 5G smartphones manufactured in China would get banned in many countries around the world, including Canada and most likely the United States. A recent report from Politico states that the U.S. is ready to impose bans on big names like Huawei, but other smaller companies such as ZTE (already banned once last year) are also considered. Huawei was planning to break into the U.S. market with its upcoming affordable 5G devices, but the spying hardware suspicions are increasing by the day. Australia and New Zeeland already banned the top Chinese smartphone maker, and Germany is now advising for a complete ban in the European Union. 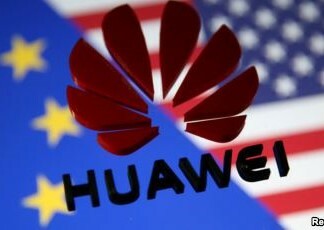 Politico also indicates that a major reason behind the possible Huawei ban in the U.S. is constituted by the alleged violations of the Iran sanctions committed by Huawei chief financial officer Meng Wanzhou. Apparently, Trump is willing to ban all Chinese communications equipment before the end of February in order to send a clear message to all attendees of the Mobile World Congress. Furthermore, Huawei’s CEO issued a warning to all the company’s employees that “mediocre” performance could lead to fired personnel in the coming months, as more countries would take measures against the Chinese phone makers.